DAVIS, CA - Now with roughly 32,000 stores nationwide already a part of Engage3’s mission to provide shoppers with personalized offers, the company celebrated its latest accomplishments at the historic U.S. Bicycling Hall of Fame. 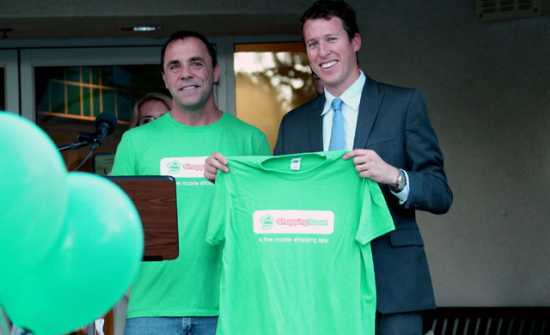 At the event, Mayor Dan Wolk of Davis, CA proclaimed Wednesday as ShoppingScout Day. 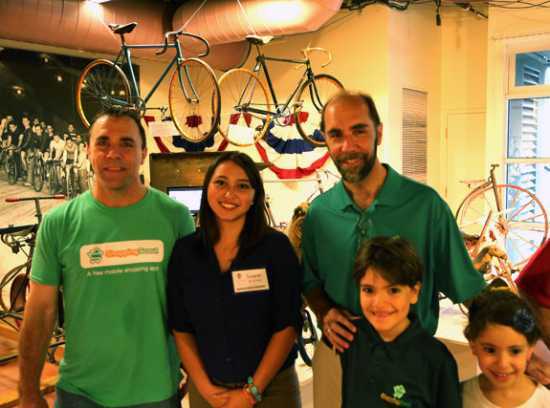 I joined Engage3 Co-Founders Ken and Tim Ouimet at the U.S. Bicycling Hall of Fame, where, among the drinks and festivities, Mayor Wolk congratulated the company on its recent investment by The McClatchy Company and its efforts to engineer a new commerce model with its innovative ShoppingScout platform. ShoppingScout is a free web and mobile application whose artificially intelligent agent, Sara, learns what a shopper intends to buy so that it can deliver an optimized shopping list that is personalized to his/her individual preferences. At the event, Engage3 introduced a live “Sara” played by an actress. This shopping list is based on the stores each user is willing to consider, their indicated product preferences, and other factors including price and health attributes such as organic and gluten-free. 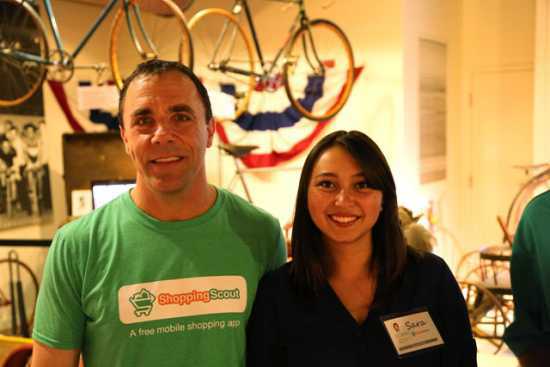 ShoppingScout can ultimately save a family roughly 30% on their shopping, Ken tells us. Steve Nilan, Engage3’s SVP of Marketing, gave us a preview of their plans to use crowdsourcing to expand their store and product coverage across the country. “Think of this as ‘Gas Buddy for grocery’ but instead of collecting three gas prices, we are incenting our users to gather prices for more than 3 million products! Crowdsourcing is a huge game changer where our ShoppingScout users make money and save money when they shop,” says Nilan. The ShoppingScout community will be paid or rewarded in the form of a retailer’s gift card, for example, to further incentivize shoppers. In the next phase of the app, this user data will be leveraged in a revolutionary way: to negotiate with manufacturers and retailers and influence their shopping behavior both in-store and online by providing them with personalized offers. Mayor Wolk praised Engage3 for strengthening the city’s economic vitality and commemorated the company on its ability to innovate and help consumers make better shopping decisions and healthier food choices. As a UC Davis alumni and Davis resident myself, it’s great to see start-up companies like Engage3 making such a huge, rapid impact in the community. I’m looking forward to see where they’ll go next with ShoppingScout and beyond. To learn more about Engage3's ShoppingScout app and the company's featured appearance on news broadcaster Good Day Sacramento, check out our previous story here.